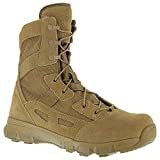 Military boots are essential gear and need to be rugged, comfortable, and ready for action. 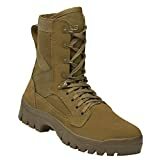 Sand or rain, hot or cold, whether you are standing, marching, or running, you need to count on your boots to keep you focused on the mission. Painful, sore, or blistered feet is the last thing you want to slow you down. Our selection of the best military boots are suitable for those in uniform or those who work hard and need versatile footwear that is up to any task. 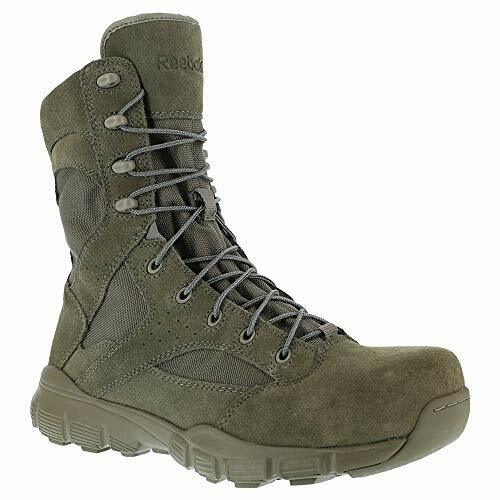 Popular with the active military, the Garmont T8 has everything you need to perform your best in any terrain or conditions. If you want to be confident that you can move quickly and with agility in any situation, the Oakley Light Assault is ready to provide lightweight and superior protection. Designed for the most challenging demands, the Rocky S2V are built to provide superior protection in rough terrain and to keep you comfortable through it all. 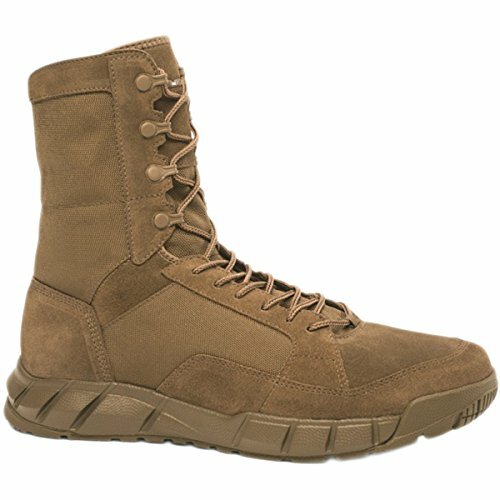 As one of the lightest combat footwear options available anywhere, the Belleville One Xero are surprisingly light and portable even though they don’t sacrifice protection or comfort, especially in hot climates. Built for performance, the Reebok Hyper Velocity is a low-cost option that provides comfort and support even in hot weather. 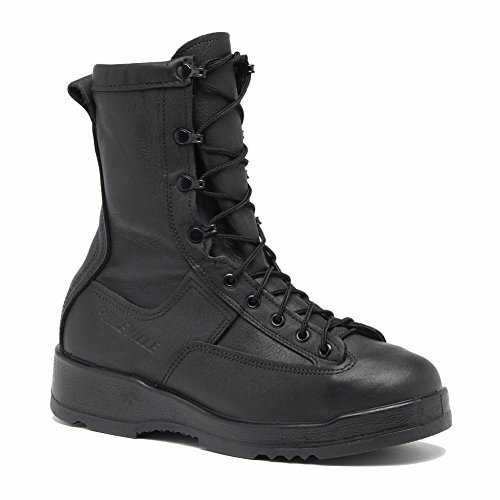 The Danner Tanicus is combat ready and designed to be light and breathable in hot weather. 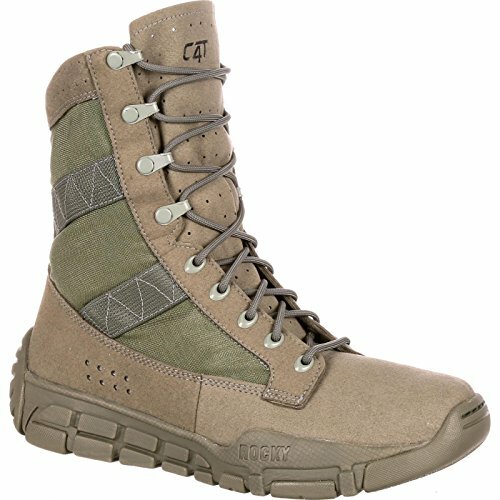 The Rocky C4T is a lightweight trainer that is built to protect your feet in any conditions. Moisture-wicking material and ventilation holes ensure your feet stay comfortable with a sneaker-like fit. 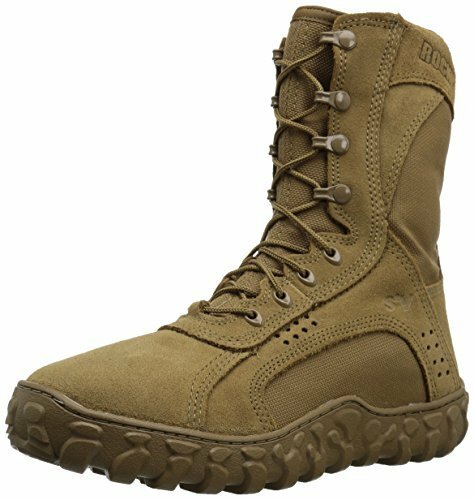 If you are in the Air Force and need a composite toe boot that is built to keep your feet safe and dry in any conditions, then the Rebook Dauntless is a very popular choice. If you want an excellent boot for use on a cold and wet flight deck, then you need to check out the Belleville 800. People love the durability, comfort, and protection they offer. 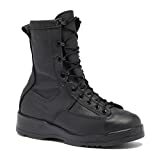 An important part of finding the right military or combat boots for your needs involves choosing and ordering the right sizes. Even a half-size too large or too small has a tremendous impact on your feet. Most of the time, you will use a Brannock device to find the right size for you. Here are some tips and tricks for making sure your boots fit correctly. Do not underestimate the need for a Brannock device. It measures the arch, width, and length of your foot. Make sure you have some wiggle room in your toes. Too tight? Your boot is too small. Too much wiggle room? Your boot is too large. If you can curl your toes, but only just, then your boot fits just right. Tap your foot on the floor. If your toe grazes the inside of the boot, it fits. Boots should always feel comfortable and snug, but never tight. Your heels should remain firmly in place and should not slide along the foot bed. If they do, your boot is too large. If your boot seems to fit well but feels “off”, try tightening and loosening the laces at certain points to provide more or less flexibility. Remember that a safety toe or steel toe makes the toe box feel snugger. If your boots are still in good shape but are not as comfortable anymore, a new insole may be the only thing you need to fix them. 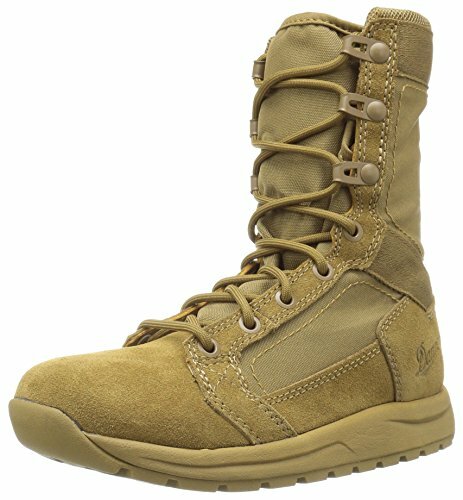 Is there any one military boot considered “standard issue”? No. 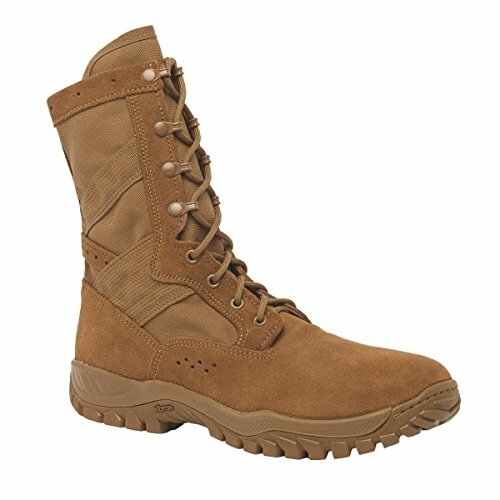 Several suppliers make boots for the US Military. However, if you want an authentic Army boot, try to find one that is Berry compliant and/or AR670 compliant (learn more about both in our military boot buyers guide). What does “Berry compliance” mean? This means that they are high quality and made in the USA. What are the differences between hot weather and temperate weather boots? Most hot weather boots have drain holes and air circulation to keep your feet dry. A boot is not a hot-weather boot if it has a waterproof lining. 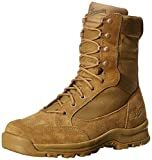 Temperate weather boots may have a waterproof membrane and a fabric liner that wicks moisture away from your foot. What are the differences between ST, CT, and AT designations? ST stands for the steel toe, CT stands for composite toe, and AT stands for alloy toe. Learn more in our boot buying guide. Why should I choose minimalist footwear? Is there an advantage? Minimalist footwear allows your foot to move as it was intended by nature. As such, your toe and heel are at similar heights and are not influenced by the sole of your boot. These styles are lower to the ground and more lightweight than comparable styles. Whether you are in the military, you hike tough terrain on a daily basis, or you simply like to protect your feed during weekend camping excursions, the top rated military boots can protect your feet and provide comfort at the same time. Choosing a pair of combat boots does not need to difficult and we provide links to plenty of great options.